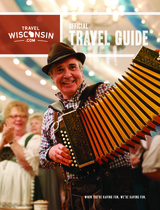 Wisconsin Traveler: Spring Is Here, So Let’s Celebrate! 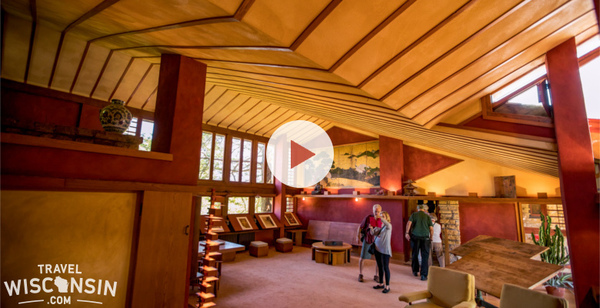 Discover the beauty and wonder of Taliesin, Frank Lloyd Wright’s personal home and studio in the rolling hills of southwest Wisconsin. Ready to experience his work up close? Go ahead and join in the tour – we’ll show you the Wright way. Celebrate Stoughton's Norwegian heritage and culture with us! Parades, authentic foods, music, art, and dance. May the Norsk be with you! Celebrate the history of canoes during a canoe and wooden boat show! Live music, food & beverages, museum tours, and workshop activities. West Allis A La Carte brings five stages of live entertainment, over 30 food vendors, adorable animals and more to West Allis Downtown! Seven days of delicious dining! Come out and enjoy $8 breakfast/$10 lunch/$25-35 dinner, and support a great cause by voting on a charity to receive $5K. Eagle River’s New Premier Beer Night & Up North Beerfest June 8 & 9. With 30+ breweries, it’s all yours for the tasting. Get your tickets. Get the family MOOving and experience a day on a Wisconsin dairy farm! Enjoy milking demos, kids' games, a farm-fresh breakfast and more! If you like your dinner with a view, you’re in luck – each of these Wisconsin supper clubs is right on the water, and offers some seriously stunning sights. Sit down, stay a while, and enjoy! It’s festival season in Wisconsin, and we’re ready to celebrate…well, just about anything! From berries to brats, bands, and more, check out the family fests you won’t want to miss this summer.